Equipement: binoculars, camera, mountain boots, cape and water bottle. Starting point: Doganaccia cableway’s parking square. Our itinerary begins at the little church next to the cableway’s arriving station. 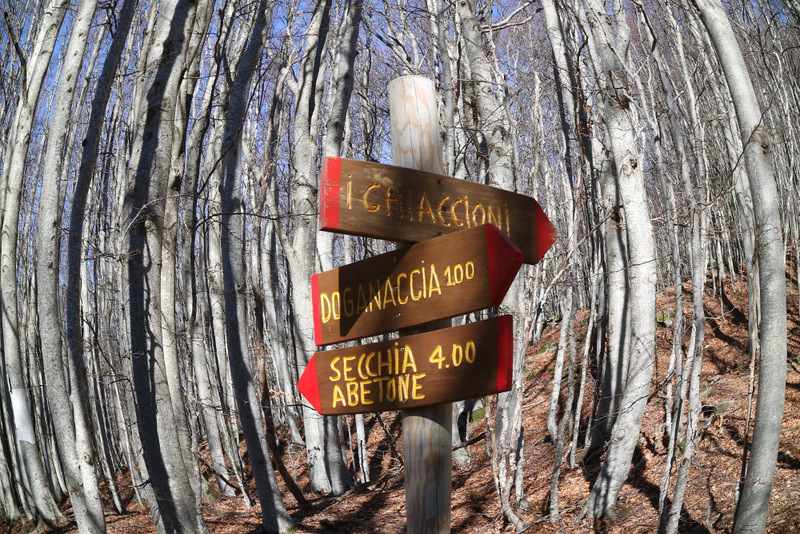 We carry on along the white-red marked path and, after passing under the ski slope’s bridge, we continue on the M.T.P path and we climb up to the Croce Arcana passing by the “faggio di Maria”. As soon as we arrive at the Croce Arcana‘s pass we proceed to the left along the 00 path. This excursion is one of the most classics of all the Tuscan-Emilian Appenninis. Like all of the crest’s paths, the itinerary is very various and panoramic, surrounded by beautiful viwes of Pistoia and Modena’s valleys, but it’s quite long too, even though it doesn’t have specific difficulties. We pass through the Taufi Peak, the Lancino Mountain, the Libro Aperto Mountain, the Maiori Mountain and at the end we arrive at Abetone after about 5 hours. 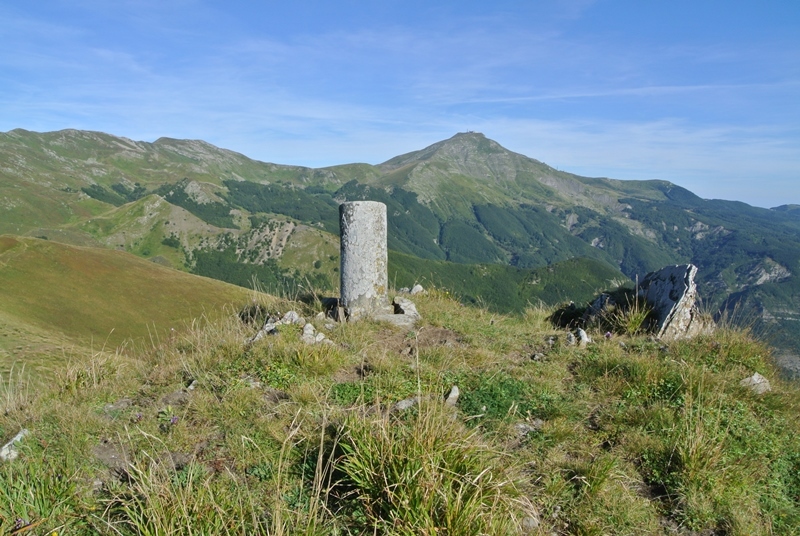 We are going to meet places that are very important from an historical and toponymical point of view, such as the Maiori mountain (1541 m.a.s.l), the Libro Aperto mountain (1937 m.a.s.l) and the Cervinara mountain (1716 m.a.s.l). We will also bump into many boundary stones in serene stone, which have a cilindric shape, that date back to the XVIII century: some of this stones still have on the surface an “M”(of Modena) on the Modena’s crest side; other stones have a “T” (of Tuscany Grand Duchy) on the Pistoia’s crest side; it was an indication of the borderline between the two Duchies, Tuscany Grand Duchy and the Pontifical State. Alwas take with you camera, binoculars, mboots and the Kway cape. We are starting from the Doganaccia Cableway’s square, we pass through Via dei Cacciatori to the Melo. 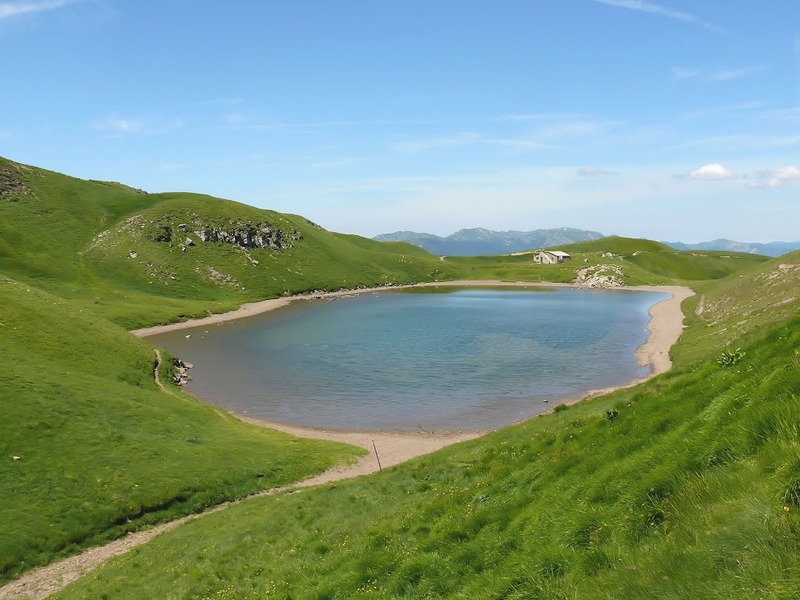 Once have passed the “Parco Avventura” next to the Viandante’s Refuge, at the picnic area’s height,we carry on along the rhigt path to the Roncacce. We hold on until the Comunità Montana’s metallic bar. Next to the bar we follow the path n.8 of CAI (white/red). The path scrabbles in beech tree’s woods and clearing of gentians and orchids. If we are lucky enoufh we could meet the groundhog. The itinerary circumvents on the left the Cristalli’s hillock and the arrives, after about half an hour, at the Captain’s spring, known for its fresh water. We go on climbing up arriving at the clearing at the base of the Appenninis ridge. At this point, in about thirty minutes, we are arriving at Lancino peak hillside. It’s easy to meet here the hawk and the buzzard that fly above the sharpen peak of the Monte Lancino. Next to the Doganaccia’s cableway, a dirt road climbs up for about 2 kilometers to the Croce Arcana’s Pass (m.1675) and goes down the Modena’s side to Fanano. But our itinerary begins at the little church next to the cableway’s arriving station. We proceed along the path omarked by white and red and, after passing under the ski slope’s bridge, we quickly go up to the right (on the left the M.T.P path climbs up to the Croce Arcana passing by the “faggio di Maria”). We meet and then cross the dirt road next to a moat and we proceed along the path that shorten the meridional side of the Spigolino Mountain. After arriving at the source (it’s convenient fulling the water bottles) we go on climbing and we quickly arrive at the n.00 CAI path (path that goes along the Tuscan-Emilian borderline) next to the Calanca’s Pass (m.1737). Going on to east we arrive, in a short time, the Lake Scaffaiolo (m.1775), one of the most suggestives natural lakes of all the Northen Appenninis.